DiveBuddy needs your comments. But not through email...I want video! 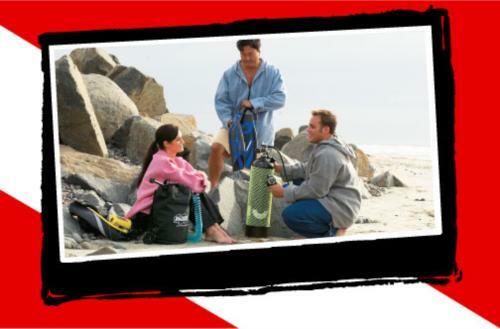 We will most likely be going to tradeshows this year to help build our little community of divers. I want to showcase DiveBuddy member confessions in video format to tradeshow visitors. So setup a digital video camera and record your personal confession about DiveBuddy and why you love it so much. Make it funny, make it serious, make it weird, make it your own...just make sure you`re nice :) And don`t use words you wouldn`t say in front of your mama (ie: no profanity). Post the video somewhere on the web (ie: YouTube.com) and send me the link and/or post it as a comment to this blog. I really hope I get a good response to this. 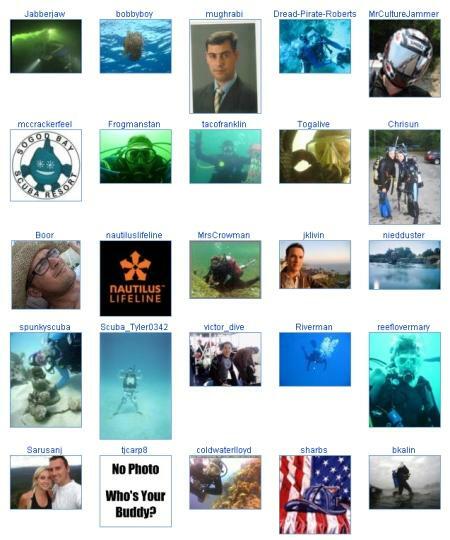 I`ve spent 1000`s of hours and lots of money building this site for you all, all I ask is to see your pretty face (or mask covered face) on video professing your unconditional love to DiveBuddy (or it`s owners:). If you own a DiveBuddy t-shirt and can`t take video of yourself dancing around in it...at least have someone snap a photo of you, upload to divebuddy and add the link to this blog. I need this stuff pretty quickly if we are going to make our first tradeshow by the end of January 2008. So drop everything you`re doing and start filming! Hi there Greg. Hope that this won`t be too late, but I am meeting up with some other divers (for diving fun!!) and will hopefully have an opportunity to put something together for you. I`ll be in touch. All the best to you and yours. Sorry, didn`t read this until today and I don`t have time before I leave for the Big Island on Tuesday. I can send one from there if it isn`t too late. Choose Add/Edit Photos to uploads pics to DiveBuddy.com. For video, you will have to use youtube.com or another video sharing website, then send me the link to the video. Hmm. That`s hard for those of us who lack video cameras. 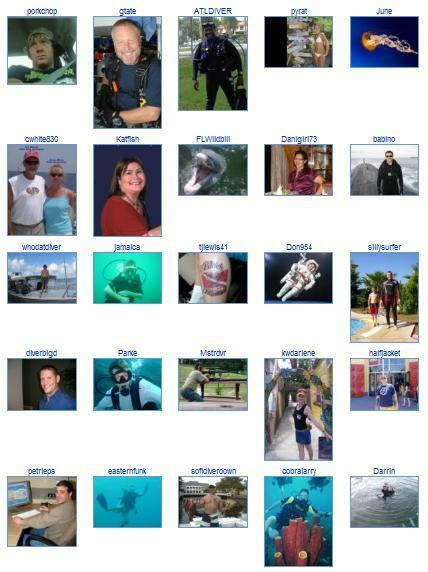 Perhaps those who do have cameras (and/or web-video knowhow) might be willing to host or join a gathering of other DiveBuddy members who could then also record something? They could even be different types of somethings (a testimonial, a skit) and wouldn`t have to be video of the whole group - though that would be good too. :) Best of luck with the project! Alright - but my bathtub is kinda small. hi gregg. i`ll try to get something to you this weekend. with tae kwon do testing and being busy as a diving beaver, my schedule is chaotic right now. but i will try to get something, even if it is a picture of me in my divebuddy t-shirt and a little diddy of a story. Man if I could I would , sorry but if Ya want in writing....say the word. Lesser spotted members of The Tribe partaking in an Advanced Flubber Workshop-course details anyone? DiveBuddy.com - Now with over 14,000 members!